The hospitality group brings this ethos further by delving into skincare this time, launching a bespoke collection inspired by its constellation of hotels and resorts around the world. 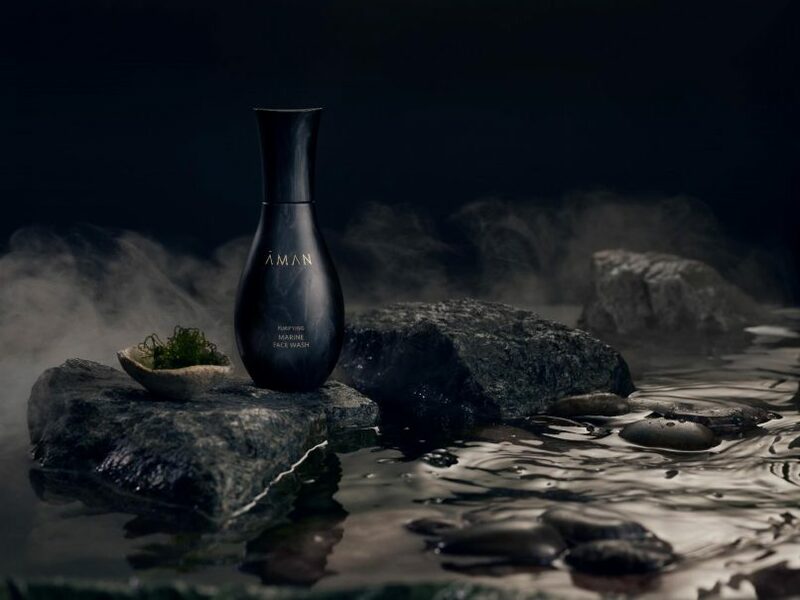 The products in the collection are formulated using a range of natural, rare and precious ingredients, many of which have been wild-harvested in various Aman destinations. The bottles are designed by architect Kengo Kuma. The new collection includes hydrating face creams and serums, nourishing face masks, uplifting body oils, calming milk baths and pulse-point remedies — all representing the spirit of Aman in a bottle and offering a soothing respite from the everyday grind. The beautifully crafted bottles, made up of Japanese porcelain, was designed by acclaimed architect Kengo Kuma, inspired by the sense of peace, intrinsic connection with its exotic locations, and architecture for which Aman is renowned, blended with Aman’s Eastern roots. Amethyst bath and shower oil. Aman hotels are found in various landscapes and settings, whether its a jungle resort or a desert, countryside or city. 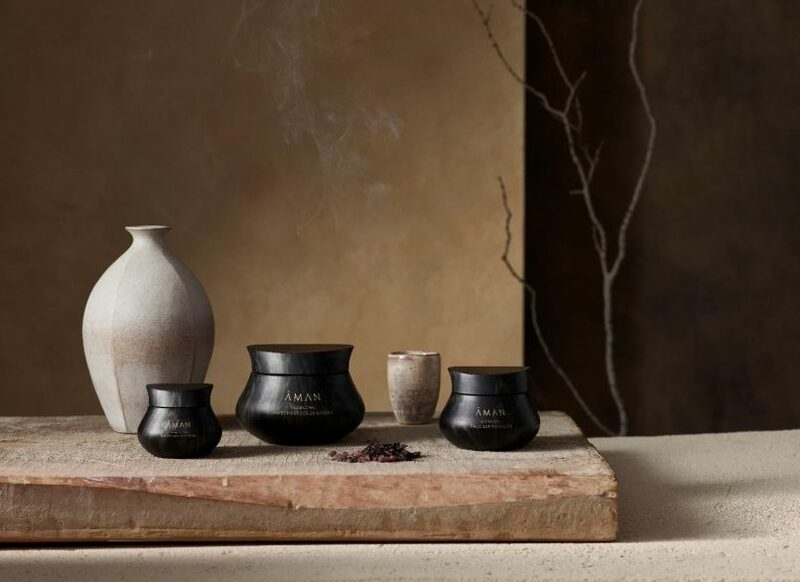 The new Aman Skincare collection inspires a similar journey following the three distinct pathways that harness the natural settings of Aman’s locations — whether it’s grounding and earthy, fresh and purifying, or nourishing and renewing. 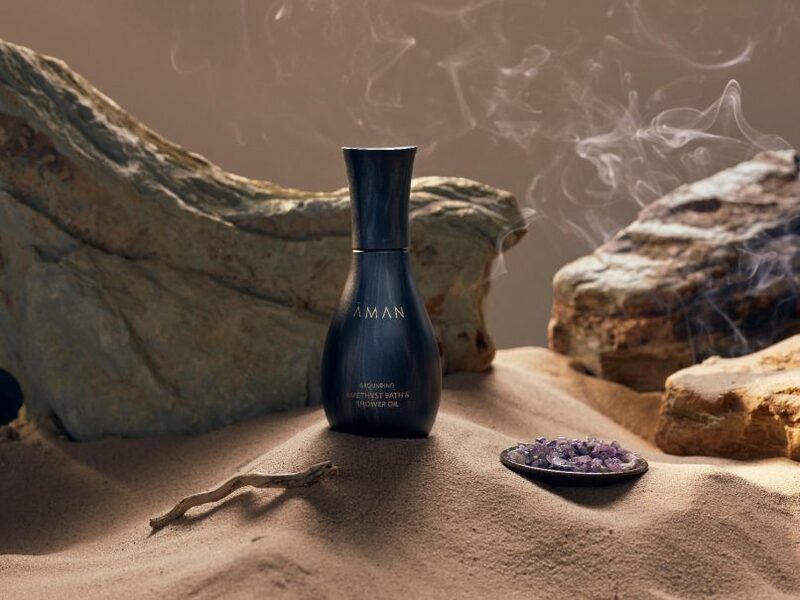 The collection features 30 products, all formulated to address specific physical and emotional needs whilst reflecting the unique and varied landscapes, with many of the ingredients sourced from and inspired by Aman destinations, whether it’s Bhutan, Morocco, Venice or India. These ingredients include pearls, homoeopathic metals, healing tree oils, amethyst, jade, frankincense and palo santo; as well as alkalising, oxygen-rich spring water, wild-harvested Amazon butter and rainforest muds. A unifying ingredient found throughout the Aman Skincare collection is Sandalwood, a healing oil with embracing aroma, which has been used for centuries in the Ayurvedic system of medicine due to its ability to help calm, soothe and centre. “Aman has always delivered a transforming and holistic spa experience, one made all the more profound by the meditative yet dramatic surroundings of our resorts. As a pioneer of resort spas, we are experts in the field of wellness. Creating a bespoke range of skincare products was a natural step in our evolution and is born of many years’ experience and research,” said Chairman and CEO Vladislav Doronin. 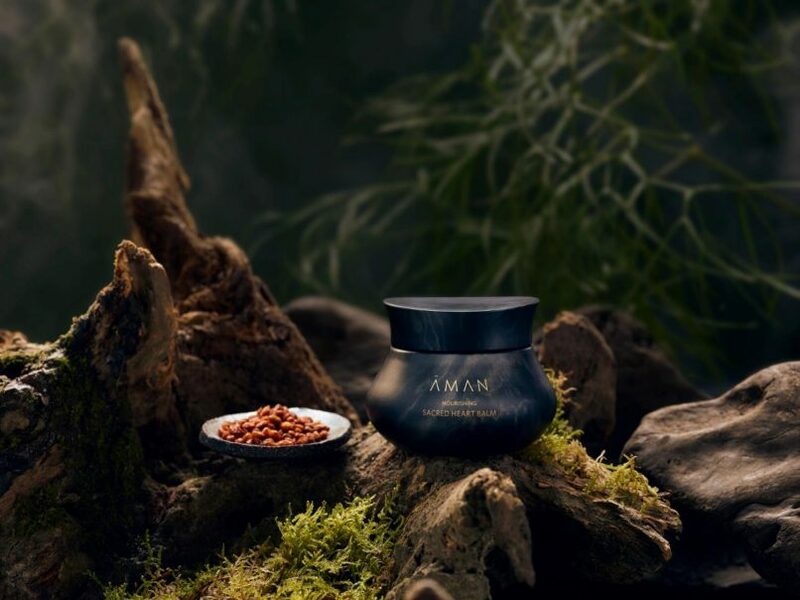 The Aman Skincare line can be purchased online, and prices range from S$75 for a purifying marine face wash to S$211 for the nourishing silk cocoon face cream.